Contact us for pricing and estimates. 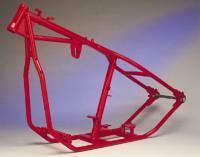 Frames, cylinders, heads, engine, transmission cases, wheels and rims; in fact any metal part on your machine can be powder coated. For a durable finish that withstands chemicals and the weather elements for years and is a lot cheaper than the price of chrome. 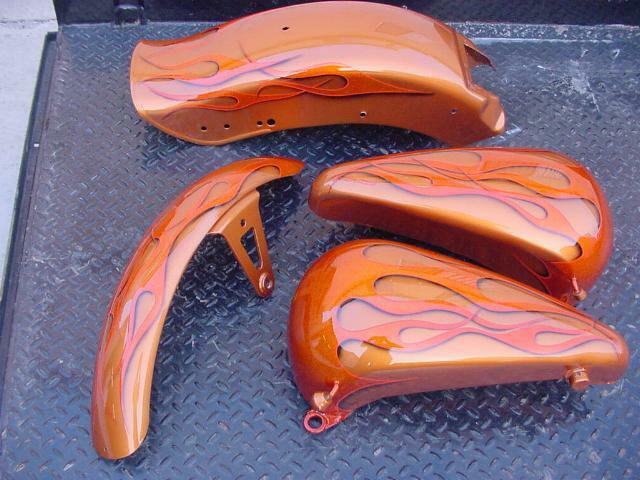 Our custom painting is show quality! Call (800) 404-1553 Toll free for prices!